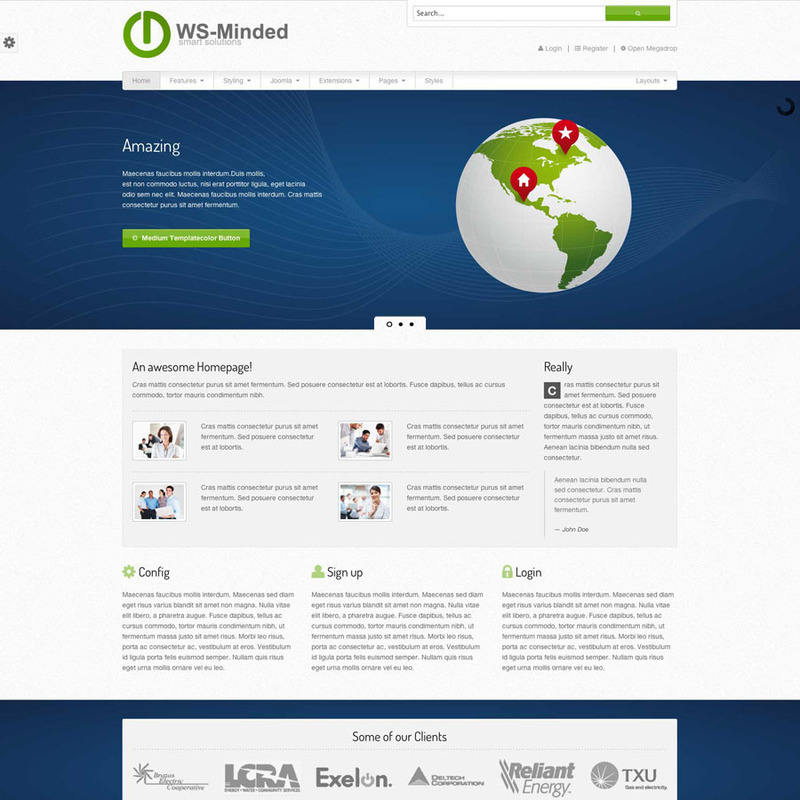 WS-Minded is an intuitive and responsive Joomla 2.5 Template build for many operational purposes. 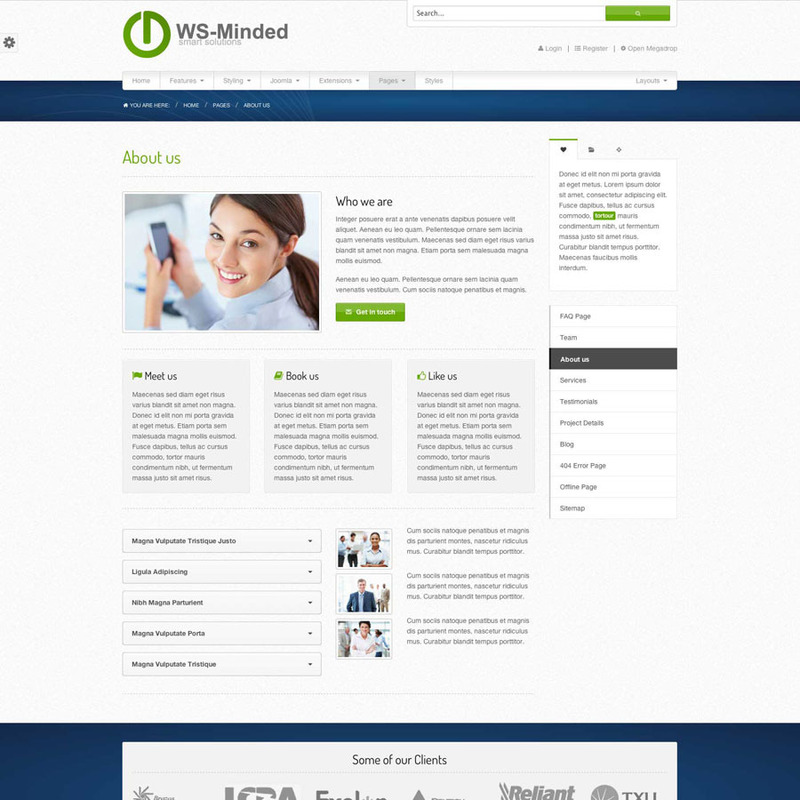 Awesome integrated Features, many Backend Options and a native Joomla Quickstart package are included. 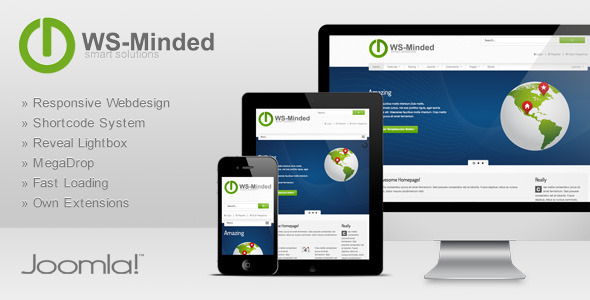 This smart and clean responsive Joomla Template is based on the powerful Foundation Framework. 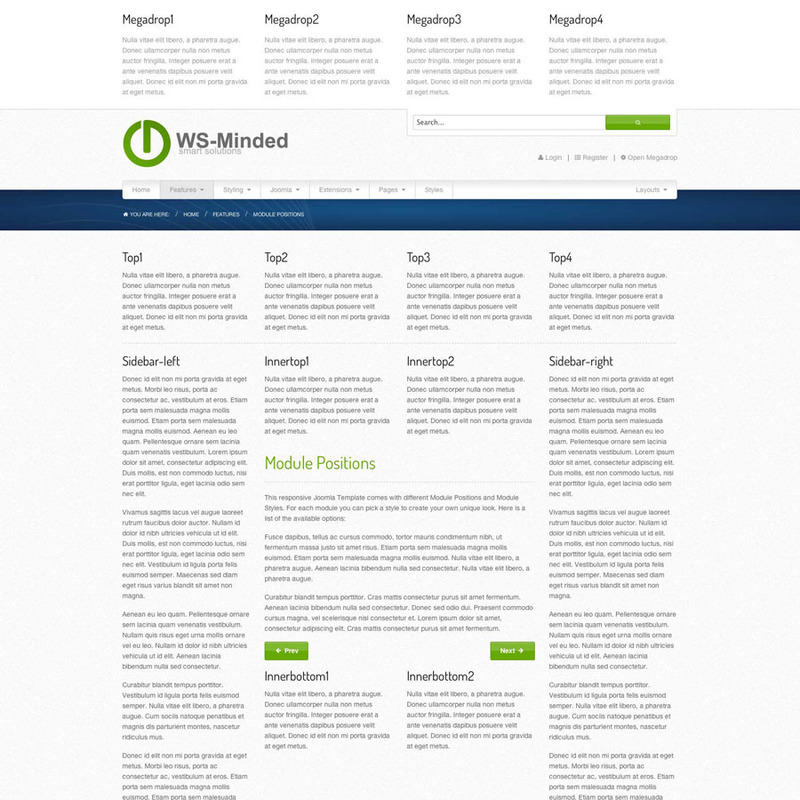 A lot of build-in-extensions will give you a new experience in Content Styling. Scroll below to see more Features. Please feel free to contact me any time if you have questions regarding this theme. Note: If you like this template, please spare a minute to rate it. The demo images have been replaced with placeholder images.